The detective is legendary among criminal justice jobs. Detectives find clues to help solve crimes, locate missing persons, and undercover fraudulent activities. Many detectives are employed by police departments. Often, they focus on just one particular area of crime. 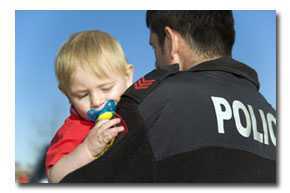 Detectives may be assigned to small property crimes, robbery-homicide, vice, juvenile, gang, or narcotics divisions. The primary responsibility of a detective is to find evidence that will help solve a case. Many detectives have worked up the ranks in a police department, starting out as a traffic or patrol officer. The experience they gained in their earlier criminal justice jobs will prove to be extremely beneficial. Detectives must have a firm understanding of law enforcement policies and procedures, strong communication skills, show vigilance to their surroundings, and have strong investigative skills. Directing crime scene activities to look for initial clues and possible evidence. Interacting with crime scene investigators to make sure fingerprints are pulled, trace evidence is collected and proper tire or shoe impressions are made. Interviewing victims and witnesses to determine the facts of the case and generate possible leads. The work can be extremely dangerous. When criminals learn that law enforcement is closing in, they may go to violent extremes to get away. The hours can be long. Criminals do not take the evenings and weekends off. The job can be stressful on a daily basis. However, seeing justice done and the perpetrator of the crime caught outweighs any negatives this job has. Very few people will begin a criminal justice career as a detective. In fact, most detective jobs require a few years of actual criminal justice work experience. Police departments want to make sure their detectives have top-notch investigative skills and a thorough knowledge of criminal justice and law enforcement. Working as a police officer can help budding detectives gain that valuable experience and knowledge. Educational requirements will vary based on the department or agency. Some just require previous work experience, a high school diploma, and a physical fitness requirement. However, more and more detectives are deciding to go back to school and continue their education. A combination of experience and education can help them stand out from the other candidates. Many decide to take a few continuing education classes to help them learn more about one specific area of criminal justice or earn a certification. Others go back to earn an associate's or bachelor's degree in criminal justice. According to the U.S Bureau of Labor Statistics, the job outlook for detectives is favorable. Criminals show no signs of changing their ways, so detectives will have plenty of work to keep them busy. The majority of work will be found in the public sector, but some private sector opportunities do exist. The overall job growth rate is expected to be around 10% throughout the next decade. However, this growth rate will be impacted by the amount of taxpayer funding local, state, and federal law enforcement agencies receive. A detective's salary is based on experience level, location, and years of service. The U.S. Bureau of Labor Statistics estimates the average salary for a detective is $65,860 a year. Smaller communities tend to pay less than larger cities. Benefits like health care insurance, pension plans, and paid time off are usually offered too.